​ So what is Kombucha? How do you pronounce it? Is it good for me? What does it taste like? What is it made from? Where does it come from? Kombucha is certainly a fascinating drink with a long history. ​for centuries for its life enhancing qualities. Kombucha is fermentation - which means to grow more bacteria. Kombucha is made by fermenting tea. that tastes similar to aromatic sparkling cider. Utilised as a non-alcoholic aperitif or as a digestif to enhance the dining experience. Also as a sparkling alternative to an alcoholic beverage that can be enjoyed with a meal. The world is looking for health! it is a PROBIOTIC culture that tastes great. re-structured water to create the brew’s unique qualities. and sensational flavours that tantalise the palate. It has been around for thousands of years and is thought to have originated in Asia. It has been known in China since 212 BC and is called by the ancients - ‘the elixir of immortality,’ there are histories from across the globe of the use of Kombucha Tea, it is referred to by many names in many cultures. Lafew Kombucha is made here in the Cairns region; this we mention because imbibing from the area in which you live, allows your body to be in a resonant frequency with the Earth’s frequency in this locale, and therefore is tailored to support You. Have you experienced the alchemy of this life-supporting magical brew? Improved digestion-as a probiotic, it supports the assimilation and absorbtion of nutrients and elimination of waste efficiently and effectively. Regulates blood sugar- this is due to Acetic acid which supports the liver and pancreas and allows a low GI response. Improved joint health- Kombucha is rich in glucosamines which helps preserve cartilage structure and prevent joint degeneration. Glucosamines increase hyaluronic acid production within the joint. This provides the joint with structure, moisture, lubrication therefore reducing pain and increasing flexibility. ‘benefits of kombucha’ to find out more. The body comprises of more bacteria than cells... We feed our cells nutrtion to maintain health - so how do we nourish our bacteria? Does the bacteria in fact feed our cells with light? Does this then preserve our life? So maybe when the original un-tainted elements of Light Air Fire Earth Water (Lafew) are kept in their original design and integrated with kombucha; the real preservation of bacteria is created through fermentation for our bodies - sustaining and supporting life - maybe the ancients got it right! The Earth and Earth’s sun have been around for ever, why aren’t we? There is a lot unexplained by science regarding Kombucha, the relationship between bacteria and Earth’s sun appears to hold the key to the magic of this ancient tea. Interestingly, science has given us this fact to ponder - bacteria when observed under a microscope simultaneoulsy 'responded' to the Sun’s release of solar flares; 8 minutes later, (at the speed of light) the Sun’s rays reach Earth. This means there is a type of communication happening between the Sun and the Earth, faster than the speed of light, with bacteria acting as a conduit? As bacteria support life, and has an ability to communicate with our body and cells; the real science may be a desire to discover, through ones own curiosity the connections through the experience of drinking this Elixir of Immortality. Why should You drink it?... something to ponder - we generally seek health drinks, foods, products and supplements etc through a sense of lack, disease or illness or the belief we need to be ‘more’ and ‘better’, we ask you - what else is possible? Be curious, seek and en-joy for the joy of discovery and the attainment of increased experience of your being? or how would it be to drink it just because it tastes good & your body agrees? If you would like to taste, know, explore more... come and see us at Lafew Teahouse & Kombucha Bar. Come & learn how to make Kombucha. is the key to improved immunity, and many health issues. The good news keeps on coming for probiotics, the 'good for you'bacteria that keep your GI system functioning in top shape. "Research is finding that a healthy microbiome may play a role in reducing inflammation, a risk factor involved in illnesses ranging from colds to cancer, heart disease, arthritis, and cognitive decline," says Katherine Tallmadge, RD, author of 'Diet simple' In addition, the bacteria may help burn body fat and reduce insulin resistance, she says. So to stay slim and healthy, consider adding more probiotic foods to your diet. is a probiotic living drink that tastes amazing, akin to a sparkling cider. Refreshing and healthy. Kombucha is raw, this means that it is never heated, which ensures that the BENEFICIAL bacteria, probiotics and organic acids remain healthy and intact. 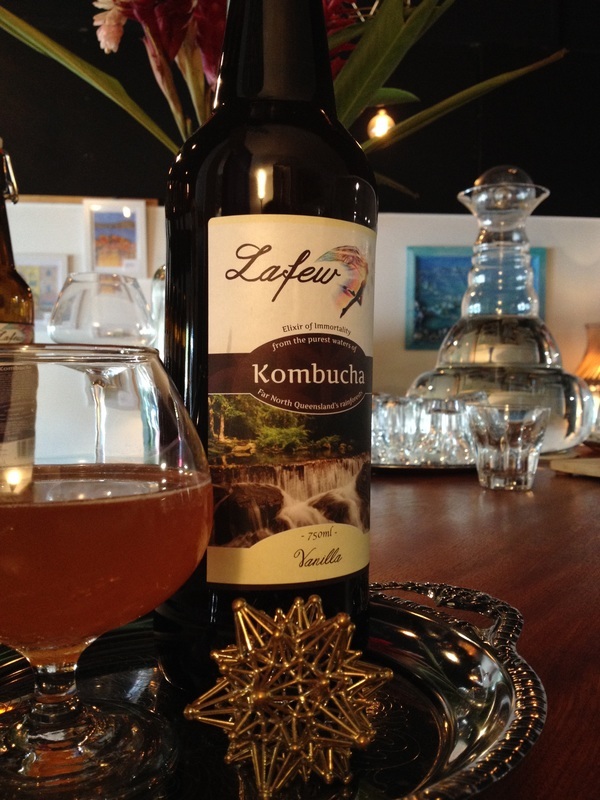 The world is looking for health… Lafew Kombucha… good gut health. made with filtered re-structured water, organic tea, fruit, herbs & spices. It is fresh and alive! At the Workshops you learn how to brew your own delicious Kombucha, hear the intriguing insights about bacteria and your cells delivered by Joshua - The alchemist of Lafew Kombucha. it tastes great and is good to for you. taste-tested to 1000’s of people. It is han-brewed and you can really savour the flavour! 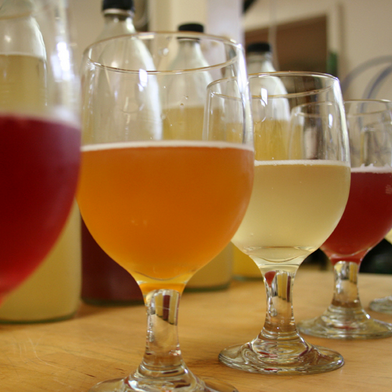 We have a kombucha bar with experience of keg systems. And know what it takes to make it work for you .